Saturday, Jan. 18; 1–2:30 p.m. 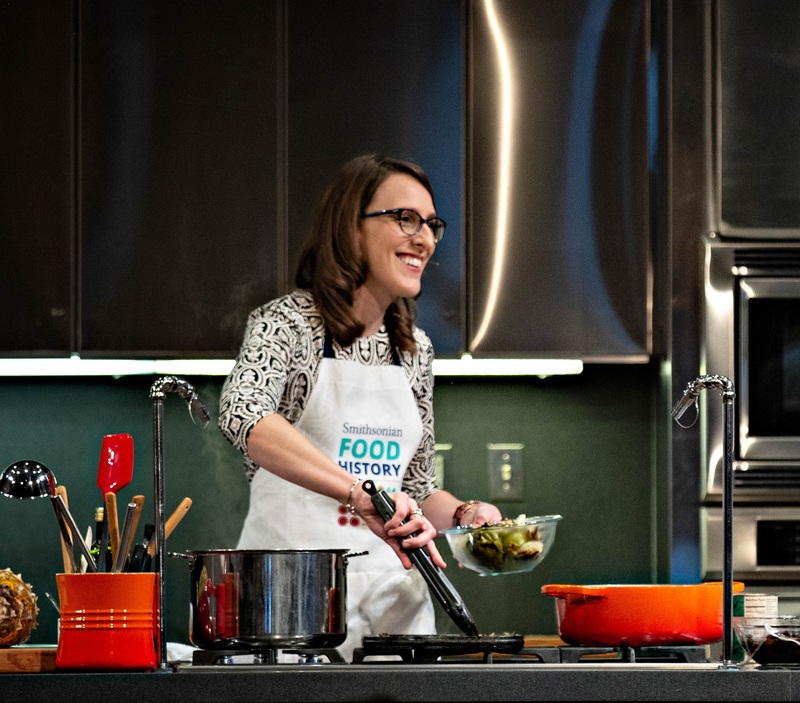 The museum will showcase a guest chef, to be announced, and Smithsonian food historian Ashley Rose Young as they prepare a recipe and discuss the history and traditions behind it. This conversation will focus on the grassroots efforts of women like Georgia Gilmore (1920-1990) who raised awareness and funds for the Montgomery County Bus Boycott by cooking, baking, and selling food. For additional announcements and updates, please see our Cooking Up History page: https://americanhistory.si.edu/topics/food/pages/cooking-history. Jan. 26 and Jan. 27; talk at 6:30 p.m.; concert at 7:30 p.m. The Omer Quartet — Mason Yu and Erica Tursi, violins; Jinsung Hong, viola; Alexander Cox, violoncello — joins the Axelrod Quartet — Marc Destrubé, violin; Marilyn McDonald, violin; James Dunham, viola; and Kenneth Slowik, violoncello — for a performance of Felix Mendelssohn’s Octet in E-flat Major, Op. 20. The Axelrod Quartet will also present Joseph Haydn’s Quartet in F Major, Op. 77, No. 2 and Bela Bartok’s Quartet No. 2, Op. 17. For more information, please visit: http://smithsonian-chamber-music.org. Jan. 5 and 6; talk at 6:30 p.m.; concert at 7:30 p.m. The Smithsonian Consort of Viols — Kenneth Slowik, Lucine Musaelian, Zoe Weiss, Catherine Slowik and Arnie Tanimoto, viols; and Thomas MacCracken, organ — present the consort music of Richard Mico and William Lawes. For more information, please visit: http://smithsonian-chamber-music.org. Jan. 20; talk at 6:30 p.m.; concert at 7:30 p.m. The Smithsonian Chamber Players — Marc Destrubé, violin; and Kenneth Slowik, harpsichord and fortepiano — present J. S. Bach’s Suite in A Minor, BWV 807 and Sonata in C Minor, BWV 1017, Joseph Haydn’s Sonata in E Minor, Hob. XVI: 34 and Wolfgang Amadeus Mozart’s Sonata in D Major, K306. For more information, please visit: http://smithsonian-chamber-music.org. Wegmans Wonderplace and Spark!Lab will be open on New Year’s Day. The activities of Spark!Lab change quarterly. For details about current Spark!Lab activities, please visit http://invention.si.edu/current-sparklab-activities. The Business of Chocolate: Explore chocolate’s impact on American history through hands-on colonial chocolate-making demonstrations. Game On: Board Games on the Plaza: Play classic games and explore the surprising stories behind these everyday innovations. Harvest for the Table: How have food and farming changed over the years? Explore how wheat was made into flour over 100 years ago. Preservation for the Table: Explore how foods were harvested and preserved all year long and why these methods changed over time. The museum’s signature film “We the People” is a 20-minute celebration of the national ideals of democracy, opportunity and freedom. Stunning footage and a soaring soundtrack take viewers on a journey from past to present, honoring the visionary ideas, significant sacrifices and remarkable fortitude of the people who built our country, one generation at a time. Produced by Smithsonian Channel. For more information, please visit https://www.si.edu/theaters/warnerbrostheater.